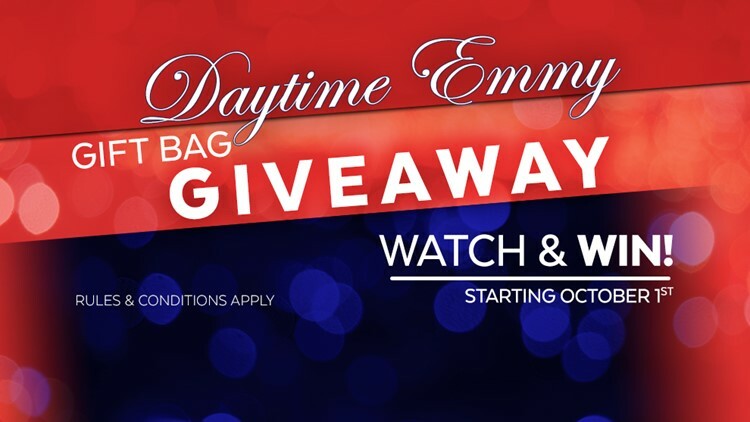 Enter the Daily Blast LIVE Emmy Awards sweepstakes for a chance to win a gift bag full of luxury products! Want to feel like a superstar? Celebrities had the star treatment at the 45th Daytime Emmy Awards and Daily Blast LIVE wants to give viewers the same experience. Through the month of October, DBL will be offering viewers the chance to win one of the gift bags from the Golden Style Lounge at the Hills Penthouse in West Hollywood. From high-fashion clothing, innovative technology, and exceptional wellness treatments this giveaway will have the lucky viewer living like an Emmy-winner. For your chance to win all you have to do is watch Daily Blast Live! We’ll announce the “word of the week” during the show and use that word to enter the sweepstakes. We announce a new word each week giving you up to four entries using our “word of the week.” You can gain additional entries by sharing our contest from our link on Twitter! Badgley Mischka Shoes: Stunning designer shoes with a style that is simple, unique and thoroughly excellent. Badgley Mischka shoes are worn by celebrities around the world and represented by international stars like Miss Universe China’s Luo Zilian. http://www.Badgleymischka.com.